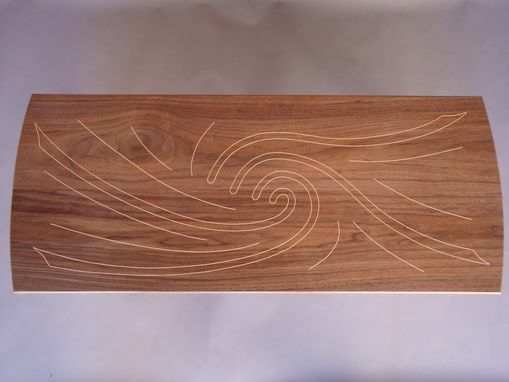 Classic coffee table design made from walnut with maple inlay. This table is currently available for sale. 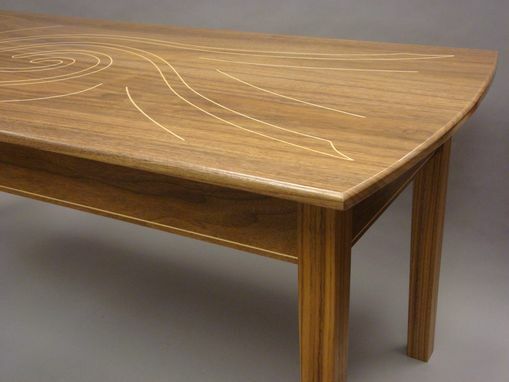 This table can be custom made with any wood and an inlay design of your creation.